These are good magazines. No failures whatsoever. After a lot of research I went with cproduct defense and have never regretted it. All of the reliability issues with the 7.62 AR platform have been associated with the magazine (maybe some gas tube issues) and these eliminate that as a variable. Black rifle shipped these within a day and I got them before the week was up. Good product, fast service, very pleased. If you're going for a 7.62x39 ar15 i highly recommend these mags. I heard c-products and ASC make the best mags in this caliber but i had jams every time with the asc mags so i ordered a couple c-products mags and all my problems went away. I’ve tried ASC, D&H, and CPD mags for my AR, and the CPD mags are by far the best. Great quality, don’t waste your money on other brands if you have a 7.62x39 AR. C Products Gen 3 mags for the 7.62x39 ar platform are the best and only mag"s you want....unless of course you want problems ! bought a complete pistol in 7.62x39 for an ar and also grabbed a couple of mags from the same vendor they were asc mags. upon loading the mags they were a pain to load the rounds tended to want to nosedive , then just trying to get the mag to lock into the gun was all but impossible even with an open bolt ! mag catch cutouts not quite right , also while finally shooting got several ftf"s in just 2 mags i had had enough ! 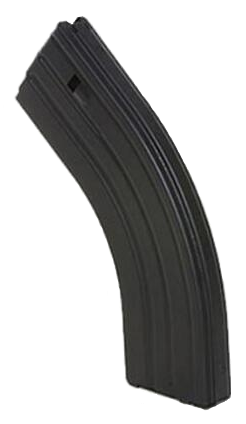 bought several of these C Products mags and not a single problem...loading,fitting into the weapon and firing nuff said ! so do yourself a favor...Buy these mags ! Q: For how long have you been marketing these CPD mags with the Wolff 5% Extra Power Carbon Steel Wire spring? I recall BRA marketing these CPD mags before but not with the Wolff 5% springs? By the way, thanks for your efforts to make the AR 7.62x39 platform more reliable. A: I got an email back from CPD and they said, "Our spring has the same properties as the spring you mention, but it is not the Wolff brand. We have our own spring manufacturer who supplies us with their version of the spring." I have updated the products detail to update their current spring use. Q: Are these the gen III mags? Do they have the wolff springs installed? A: Yes these are the new Gen III Magazines. We get orders in from C Products Defense on a regular basis. As for Wolff Spring, I emailed Carol at CPD a few months back and inquired about if their spring was by Wolff and here is her reply: I just checked with our Production Manager – our spring has the same properties as the spring you mention, but it is not the Wolff brand. We have our own spring manufacturer who supplies us with their version of the spring. Q: Did you modify the hammer spring while testing with Wolf Ammo? A: We do not modify springs when using any steel case ammunition. We use mil-spec trigger group and our enhanced firing pin in our setups. A: We have always marketed them with the Wolff 5% Spring since selling them. Since we now upgraded to the CPD's newest Gen and the Black-T coating, I must say I never inquired if the newest Gens still utilize the this spring. I have sent CPD a email inquiring, will update. Q: Would these 762x39 30 round mag work on the Windham weaponry 762x39 rifle? A: If Windham Weaponry 7.62x39 rifle is on the AR-15 platform then yes these magazines will have no issues. Q: What is the difference between this item (1407041) and the 28rd version (180120) besides capacity? Does one have an anti tilt follower and not the other? I see the 30 rd has an extra strong spring, but what about the 28? Any info that helps make my decision easier is welcome. A: The 28rd 7.62x39 Magazine will fit in a standard size USGI magazine Pouch, the 30rd magazine will not. A: We do not do modifications to other manufacturers products. All magazines come fully assembled by OEM and packaged by OEM for retail sales. Q: Hi, are these mags in stock as of 2/20/2018? Q: Do you ship unassembled magazine parts or just single parts for 30 round C products mags.I need only the can or empty box. No other components.I live in communist country of California? Q: how much are your shipping rates?